I feel like a mobster’s wife, or daughter. Carmela Soprano’s near relative Christopher was smothered to death by her husband Tony for ‘disrespect’ and she should have reacted. Her fondness of the things that her marriage to the mafia boss brought her overpowered her concern at the means by which they were obtained. Disassociating Meadow hid her own shame in a law degree. 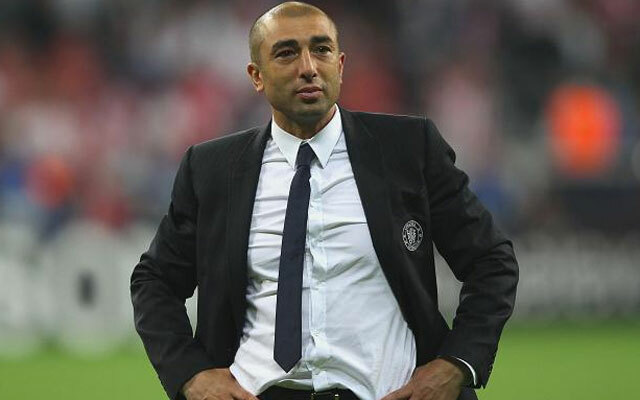 Roberto Di Matteo was not a drug-addicted second cousin. He was – he is – beloved and we cannot recall a single tangible moment where he disappointed us (and a red card in a draw against Man United doesn’t count). We were encountering a very minor blip. It wasn’t much more than a fortnight ago that we were top of the league. Yet our tactless Russian oligarch ended the manager’s life as easily as he had once granted it. It is this act of betrayal that awakens me from my stoicism. I have witnessed heroic, trophy-lifting figures of our past shunted aside with a smelly wad of rubles – the Wilkins’, Mourinhos, Coles and Ancelottis and I said nothing. His funds allowed us to illegally tap up numerous sought-after players, inflate our captain’s ego to frightening levels and turn an incredible lead striker for the most scintillating international side around into George Weah’s ‘mate’ Ali Dia. 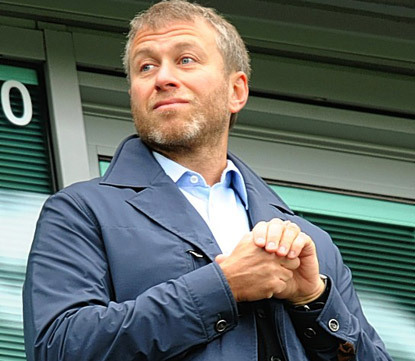 Roman Abramovich “purchased” our club partly as a means to build his own profile and avoid consideration for the long terms of imprisonment that his peers were being sentenced to in icy Moscow courtrooms. He doesn’t concern himself over history, loyalty, legacies and the DNA of our club. Where was he when we were a horde of spiteful hooligans? He was smuggling contraband goods into the USSR. Was he anywhere to be seen when Vinnie Jones silenced the Anfield crowd with a thunderous game-winning drive? No – he was masturbating in a prison cell, having fraudulently directed a cross-border fuel trade. Does he recall Di Matteo hanging his shot over Ben Roberts at Wembley, forty seconds into the Cup Final? Of course not. Eddie Newton for the second? He couldn’t give a flying соитие. Robbie toiled for eighteen months to return to the pitch in a blue shirt after having his leg nearly obliterated against some Swiss minnows. He came back a decade later and he did what no other of those pricey executives could – he won us the big-eared cup. By recruiting the Madrilenien waiter, still sporting a ridiculous goatee, Roman is demonstrating that the Chelsea fans do not affect his thinking whatsoever. 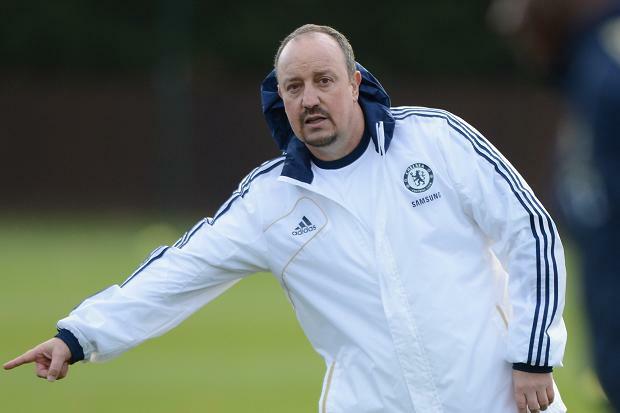 Rafa Benitez has mocked us and previously declared his unwillingness to go anywhere near our managerial seat. He is actually enemy. A poll of Chelsea supporters (that remember the Zenith Data Systems Cup victory), asking for their suggestions, would have left Benitez, in such a list, ranked way below every other manager in the world, senior Al-Qaeda members, most soap villains and the phenomenon of bad breath itself. I personally would rather have let the youngest, dimmest ballboy decide the match tactics and had the alternating colour of the elephant faeces at the zoo determine whether Fernando Torres is allowed to continue his comedy act up front. Eight managers in nine years (without including caretaker stints) is not a sign of an uncompromising demand for success; it is a psychological delinquency. Emperor Roman is punishing Mediterranean men for his father’s early passing. These professionals, with years of intimate knowledge of directing formations, in their being unable to adequately accommodate “pass for Shevchenko, he win us game” are put up for sacrifice. The millions of pounds he is spending on compensation payments alone could have been spent on a hitman to better manipulate the system. His emotional satisfaction at making these guillotine-dropping phonecalls would surely reveal a great deal, as would the revelations in his divorce settlement papers – did he force Olga or Irina to don a particular ill-fitting but over-priced frock on all occasions? Roman once stormed into our dressing room at half-time to senselessly steal the team-talk from ‘The Special One’, having Andrii Shevchenko translate his bucolic tactical orders. It is always about him winning. The spirit of our club is an invisible entity to him. He won’t sit with us or talk so we can hear him. He disbelieves in us. Sometimes I hark back to the seemingly simpler days of Ken Bates (a man who could handle a beard), but then I recall how even he dealt so insolently with Bobby Campbell, Ruud Gullit and Gianluca Vialli – the former being transferred to the position of the Chairman’s personal assistant once relieved of managerial duties! A trawl through pre-Bates ownership will reveal the dastardly anti-football morals displayed by even our founding family, the Mears. There are significant reasons why we adored Matthew Harding and not just because he pissed in the same urinals as us. It’s too soon after the teary, exquisite night in Munich to permit the majority of Blues fanatics to weigh up feelings about Abramovich’s hold over our badge, but I for one have had enough. Being a billionaire’s plaything was often orgasmic and we have dazzling silverware sprawled around us, as we never would have dreamed. He deserves our thanks for the incredible highs his deviously gotten gains have brought us. It’s time to think about giving the club back though. It shouldn’t be right that I point my gaze at Glasgow Rangers and dream of being demoted to the almost amateur leagues just so the fat flies will disperse. Financial fairplay rules, our first profitable year and the hysterical chuckles of a Benfica chairman that sold us David Luiz are surely signs that we are ready to be let go of. We are Matthew Harding’s Blue Army and we’ll be here long after the orphan’s boredom has triumphed. This entry was posted in Analysis and opinion and tagged benfica, blue army, chelsea, david luiz, di matteo, football, john terry, ken bates, Lori Zakariyya King, premier league, rafa, rafa benitez, rangers, roman abramovich by The False Nine. Bookmark the permalink.